Barefoot Angie Bee: Chia Seed Giveaway!! I thought it fitting that a barefoot runners first giveaway should be chia seeds! My life was changed in many ways when I read the book "Born to Run". My assumptions about life and what it takes to be happy were shifted and I reevaluated how I run as well as what I eat. I now run barefoot and in minimal shoes when warranted and eat chia seeds daily and yes they are the same seeds as on the silly grass growing heads. Who knew that they were jam packed with nutrients! Born to Run introduces us to the Tarahumara Indians. Running is part of their lifestyle. They run hundreds of miles wearing sandals through the copper canyons of the Mexican state of Chihuahua. The Tarahumara make a drink called Iskiate or Chia Fresca to sip as they run. 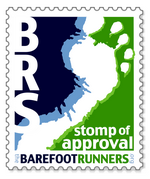 Here is an interesting forum conversation and recipes at the Runners World Barefoot forum about Iskiate. For the sake of brevity I will say that the book is not just for runners, barefoot or otherwise, but for anyone who likes a good read with interesting characters and some scientific fodder to ponder about how we, as humans, were born to run. The mechanics really are intriguing. This blog post is not however about "Born to Run" in particular but about Chia seeds and how you can win some of your very own. I like these two links about Chia seeds and encourage you to check them out. Dr. Andrew Weil says in this 2006 blurb that he expects much more buzz about this super food. He seems to have been spot on with his predictions as chia consumptions have gone up over the last year. Don over at Chia Seeds Direct sent me a generous one pound sample of chia seeds to try. I love to put chia seeds in my smoothies as well as mixed with apple sauce and cinnamon. I make a protein bar that also has chia as an ingredient. I have yet to make a fresca that I liked however I do like them in a thicker liquid and I love the flavor and texture. They are loaded with nutrients and do not need to be ground before consumption like flax seeds. Here you can donwload a free 16 page booklet on chia seeds, chia seeds benefits and recipes. According to the Q&A page they are grown pesticide free and are also gluten free. They offer the highest quality chia seeds at very low prices with free shipping on all U.S. orders and have been selling them for 5 years now. 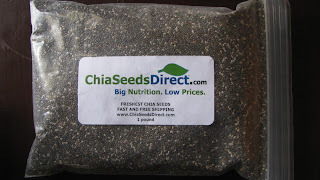 Chia Seeds Direct is sponsoring my blog giveaway of 2 pounds of chia seeds to one lucky winner! 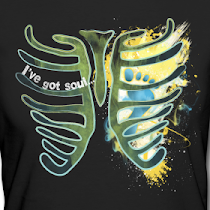 post a link to this giveaway to your own blog or facebook, twitter, email a friend, whatever floats your boat and comment saying that you did so. Have you ever tried Chia seeds before? What did you think? Leave a comment telling me a bit about it. (only to those in US and Canada) winner will be randomly chosen after midnight on Monday March 29th. disclaimer: Chia Seeds Direct sent me a sample to try and I think that their prices are reasonable and I also like that they offer free shipping. My opinions stated here are my own. eat seeds daily. swear by benefits of seeds. need more seeds!! i follow you and i will post a link to this blog on facebook right now! I follow you. I would really like to try these. Here's the link to my blog spot about the giveaway. I've never tried them before, but it's only because I've never heard of them before. I think I'll like them though, can't wait to ffind out! I have been eating chia since reading Born to Run some time late last summer. They truly seem to provide some endurance energy. I tend to agree regarding fresca. I don't mind it but I'd rather just swallow a spoonful of chia and chase it with the fresca. I throw chia in my cereal, when I make protien bars, and with a glass of milk. I got a good deal on the last batch I got (from a different vendor) and wasnt too happy with them because they didnt have that awesome gel around them when they soaked. I would like to try this brand to compare. I'd love to try chia seeds! I'm a follower. Gonna post on my blog! I told HoityToityBaby.blogspot.com about this giveaway. note: I buy my chia from http://www.superseeds.ca/ where they have free shipping and lots of recipes and nutrition/benefits information. I've been putting chia seeds into my morning smoothies for a few months now, seriously I think they keep me feeling full longer! I just bought some chia seeds last night, probably 1/10 of a pound in the bulk aisle. I'm planning on putting it in my oatmeal tomorrow but would love a large supply for my morning smoothies this summer! I follow you on Google. Thanks for the entry! I've never tried chia seeds but I sure see them everyone (online that is). I want to try some in oatmeal like all the cool kids are doing!! Added your blog to mine. I like them in my yogurt-I think I'll try a bit of cinnamon and the smoothie idea!